Internationales Währungssystem: US-Dollar, Globalwährung oder ein "chinesisches System"? Does Financial Education Impact Financial Behavior, and if So, When? Lukas Menkhoff is the Head of the Department of International Economics at DIW Berlin and Professor of Economics at the Humboldt-University of Berlin. 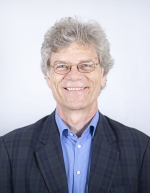 He is also a member of the ‘Globalization and Development’ Research Training Group (Göttingen, Hannover), and the Collaborative Research Center ‘Rationality and Competition’ (Munich, Berlin). His research focus is on International Finance and Financial Development. Previously, Menkhoff served as a professor at the Christian-Albrechts-University of Kiel, the Leibniz University of Hannover, the RWTH Aachen University and was a postdoc at the Albert-Ludwigs-University of Freiburg. For several years prior to that, he worked at Dresdner Bank AG and McKinsey & Co. His papers have been published in the Journal of Economic Literature, the Journal of Finance, the Journal of Financial Economics, the Review of Financial Studies, the Journal of International Economics, and the Journal of International Money and Finance, among others.